AID Jeevansaathi Kiran Vissa took part in a panel discussion on the national strategy document released by the National Institution for Transforming India, also called NITI Aayog. The document, “Strategy for New India,” sets forth objectives to be realized in 5 years, in several key areas, including agriculture. The panel comprised Surjit Bhalla, Kiran Vissa and Piruz Khambatta and was moderated by Shereen Bhan. 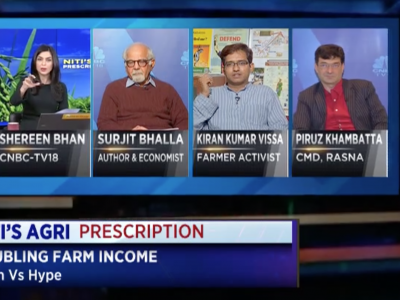 Kiran explains why the drive towards corporate control of farming will not work in India where agriculture needs to support livelihoods of at least 50% of the population. The other panelists seem to admit that with the kind of policies they are suggesting most farmers would have to sell their lands and quit. 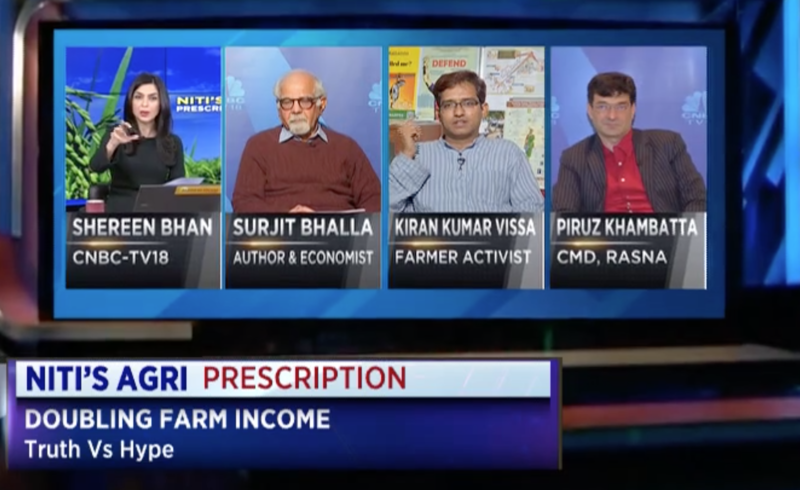 Kiran urges economists and policy makers to discuss with farmers and their movements and pass farmer friendly bills. This portion starts at 27:35.